Does your company pop into view when prospects search for the products and services you offer? Try it and see. If it doesn't, call us. Search Marketing that is Local. Experienced. Proven. Transparent. How important is having your website show on page one of a search? It’s huge: According to Google, 94% of searchers click what the they want right there on the first page. It’s prime real estate. And with web directories muscling in deeper, and small Google ads (Adwords) occupying space there too, websites struggle to list on the few spots Google allots. Truth is, to achieve a page one listing can be a long game. However, there are safe, time-honored tools and methods that Google welcomes, including an Adwords campaign, that can generate visibility faster. Work with us and you’ll receive the best search marketing practices, 20+ years proven SEO experience, and Google-certified Adwords expertise. This know-how can empower your current website domain to improve its position --- if not pop into view --- in one, two or three places Google provides on page one. No worries if your current website is tired or outdated. Let us build you a new one, mobile-friendly, using the constructs that Google wants you to have. But if in fact you love your site but need it to rank better, we're happy to explain to you ways to achieve that. We know our way around Google, we know how to drive people to your site, hold them there, and convert them, too. 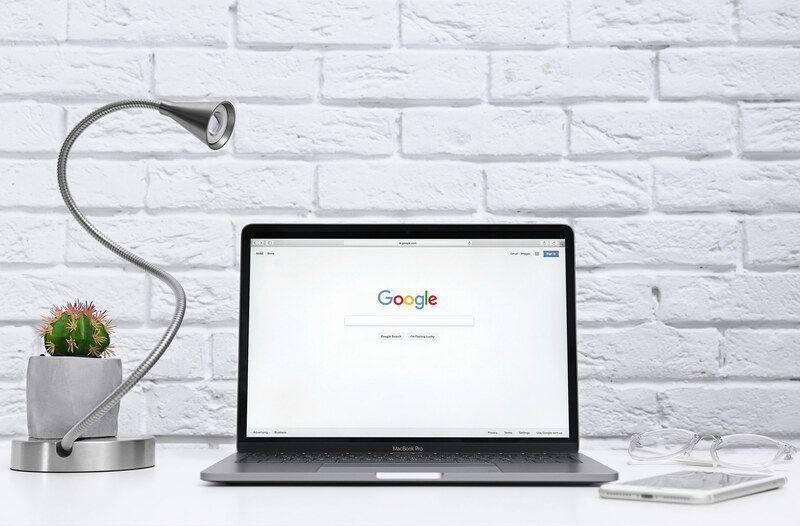 So if you're ready to have Google work harder for you via a makeover, edit or site expansion, or devise an Adwords pay-per-click (PPC) campaign, call Nat Testa today for a free consultation on how search marketing can improve your business. Call today at 973.632.7425. 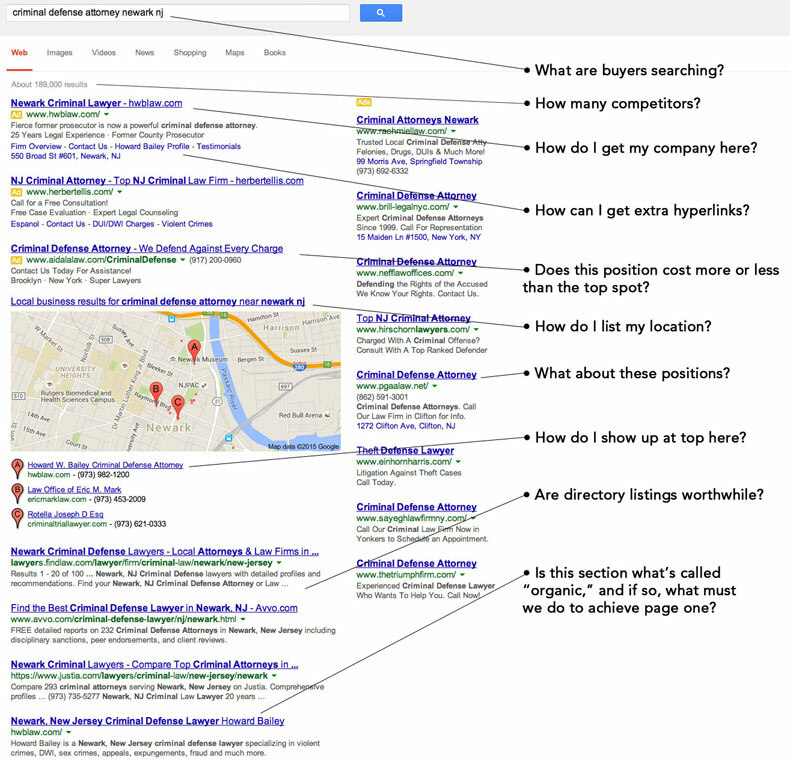 When you search using keywords related to your company’s products or services, do you show up where you want to be? If not, contact us for a free consult on how we can get you there without waiting any longer. For Newark Criminal Attorney Howard W. Bailey, we built and optimized his website at hwblaw.com, and achieved tremendous brand visibility from day one. We provide compelling and affordable digital marketing options to improve your on-line visibility. The internet’s enormous capacity for a business to promote services locally or nationally is irrefutable. Optimizing the visibility of your website to page one for search is critical to its value and your success. We make certain your website has a solid foundation for showing well, informing persuasively and converting leads by writing and designing with the constructs that Google prefers. SEO and page rank is achieved not simply by the word and picture content of your website, but how that material is leveraged through keywording, repetition, titling, tagging and indexing. It is furthermore boosted organically by blogging and backlinks, as well as the calculus of social and business media platforms such as LinkedIn, Google+, YouTube, Facebook and more. Search engines have begun reclaiming portions of page one, converting it to ad space known as Adwords, or pay-per-click (PPC). When we build your PPC program, you’ll show atop page one, enjoying free impressions daily, costing only when your ad is clicked. If over 90% of searchers find what they want on page one, your website needs to be there for a chance to capture that lead.